Nestled between the Atlantic Ocean and Spain, Portugal is today’s hot-spot vacation destination, and world travelers are enthralled by the unique yet familiar cuisine of this country. The New Portuguese Table takes you on a culinary journey into the soul of this fascinating nation and looks at its 11 surprisingly different historical regions, as well as the island of Madeira and the Azores, and their food culture, typical dishes, and wines. This book also showcases Portugal’s pantry of go-to ingredients, such as smoked sausages, peppers, cilantro, seafood, olive oil, garlic, beans, tomatoes, and bay leaves, all beloved by Americans and now combined in innovative ways. 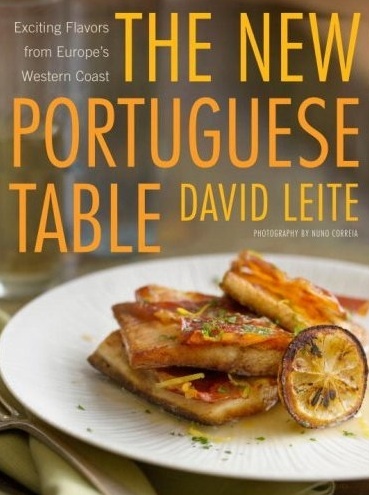 In The New Portuguese Table, David Leite provides a contemporary look at the flavorful food of this gastronomic region, sharing both the beloved classics he remembers from cooking at his grandmother’s side, such as Slowly Simmered White Beans and Sausage, as well as modern dishes defining the country today, like Olive Oil-Poached Fresh Cod with Roasted Tomato Sauce. With nearly 100 full-color photographs and a contemporary perspective, The New Portuguese Table is the handbook to the exciting cuisine of Portugal.